The Catskills are a semi-mountainous region of New York State about 100 miles north of New York City, which prospered as a popular resort area in the early to mid 20th century. Great hotel complexes stretched from one end to the other and served as a get away for New Yorkers and regional vacation seekers. “Dirty Dancing”, the iconic 1987 movie, plays out over its background to what was the way to escape the city on those summer weeks. BUT, by the mid 1960’s the advent of increasingly efficient airline travel, and travel savvy, marked the beginning of its inevitable decline. This image taken June 13th, 1991, on Rt. 52, underscores the impact such a demographic change had on local economy. 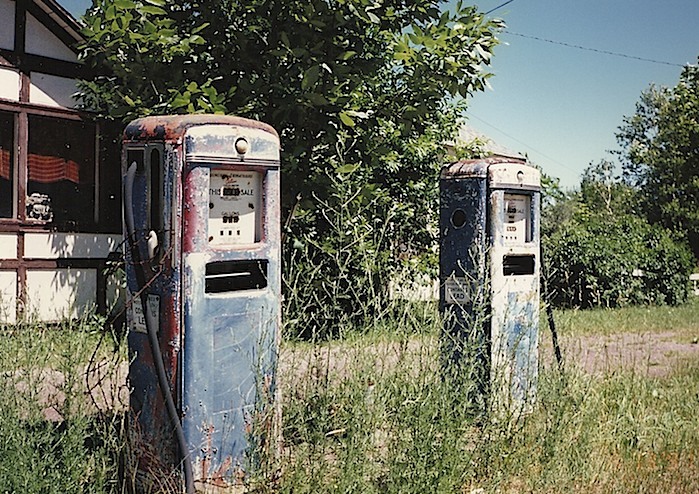 The once thriving gas station, was basically abandoned … its property value deemed worthless, and the artifacts of its importance left to the ages. When was the last time you paid $.319 USD for a gallon of gas? Or watched the glass orb show the fuel flow; or were content to buy something that contained lead? 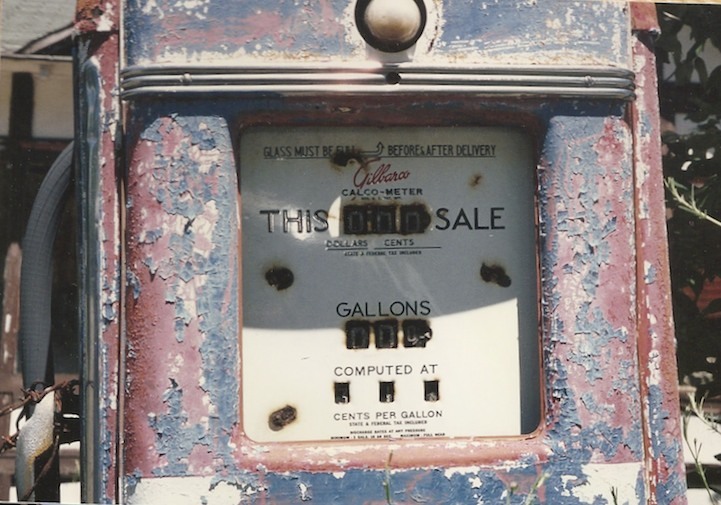 Ahh…the days when the gallon indicator moved a lot faster than the dollar meter! Sometimes they would even give you a glass and green stamps. I bet to fill up the Simca, …maybe, $4.00? Or wait…did that car have and engine?